The midterm battle in Florida is far from over, it seems. Florida Gov. Rick Scott declared victory Tuesday night over Sen. Bill Nelson (D) and Rep. Ron DeSantis was the declared winner over Democrat Andrew Gillum. The latter had even conceded, but is now starting to change his mind because officials are insisting there are more ballots to be counted in Broward and Palm Beach counties. “I’m cynical,” said Matt Schlapp, president of the American Conservative Union. Putting "illegal" ballots in with legal ballots "and not telling us what these numbers are" is unfair, he added. He also noted "they didn’t let cameras or observers in" when the officials began counting. "We’ll never know all that they did." Sen. Marco Rubio (R-FL) is also warning his fellow Florida Republicans about the hand counting. He's so fired up about the controversy he shared a lengthy Twitter thread about it on Thursday. 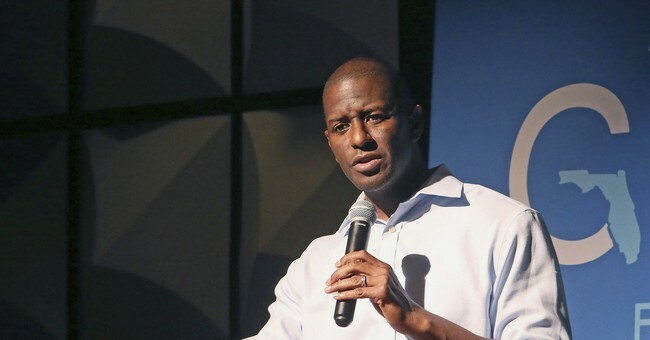 Gillum had a much different description of what's occurring in his state. He said the vote counting is a constitutional necessity. The margins can't get much tighter. Scott is leading Nelson by just 0.18 points on Thursday night. DeSantis is leading Gillum by 0.44 points. Gov. Scott is suing Florida’s Broward County Supervisor of Elections Brenda Snipes for allowing the counting of the mysterious discovery of thousands of new votes. "The lack of transparency raises substantial concerns about the validity of the election process,” the lawsuit reads. Schlapp noted on Twitter that Snipes has a history of scandal.